“What can an ant teach me?” I hear you ask. Generally, the easiest way to live life is to learn from others’ past failures and accomplishments. It is, however, more challenging to take advice from someone who has not yet benefited from their own solutions, like a homeless man giving a talk on ‘how to be a billionaire’. Ants, on the other hand, fall into the successful category, and can teach us how they suceed time and time again. By purpose I mean having a clear long term objective or goal which shapes everything you do. For example, one ant’s sole job description is to find food for the colony. This is his purpose, and all that he inputs this time and energy into, and so it compounds his chances of success. Unless you are paid to respond to Facebook messages and Twitter updates within the hour, then more important activities should precede your level of engagement with social media. Unless of course, part of your goals incorporate social media. Otherwise minimise your engagement with activities that draw you away from your main focus. Ants are team workers and work together in order to achieve something great. Likewise, in order for you to achieve something substantial in life, you must align yourself with others who can help propel you to another level. Role models are the more experienced people we wish to emulate. Renowned motivational speaker Brian Tracy emphasizes the need for us to see what other successful people in your industry or field have achieved and then to do the same. Ants have to work with the natural seasons. So in summer they gather their food and in winter they hybernate to conserve energy because of the lack of food. You need to know when to stop. Burnout is when you have come to the end of yourself and suddenly give up and withdraw from all kinds of work. You’ve simply had enough. In order for this not to happen you need to schedule in periods of rest, especially after the completion of a major project. Now ants can seem like one of the most insignificance insects on the planet because of their size. But the colonies they build and the contribution to their society is extremely significant and great. What big dreams do you have for your future? Pursue those. No matter how small you think you are, you should always pursue something bigger than yourself. Ants prepare in their food in Summer because they know that there will be a time when there will be no food to find in winter time. So they are constantly preparing for a season which is yet to come upon them. It has a stark contrast with human behaviour. When you should be studying you’re watching TV and when you should be working you’re on Facebook communicating with friends. Your priorities can sometimes be driven by what you feel like doing and not by what the most important thing to do is. The only way you can maximise any given moment is by preparing for it. If you think ahead to that meeting, conference or event and work backwards, you will then be able to prepare adequately. 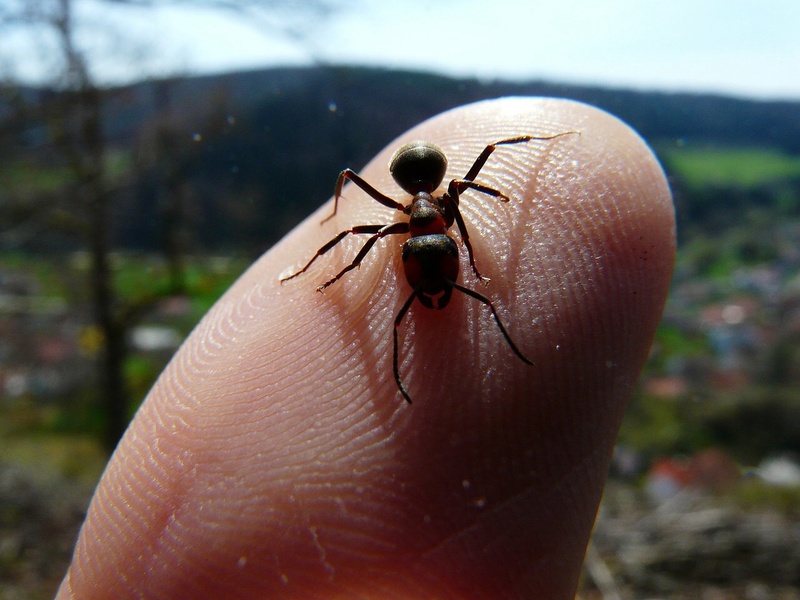 Although they are small, ants can handle up to one hundred times their weight. They know their limitations. All to often we say ‘yes’ to things that we can’t do and take on responsibilities that we struggle to fulfil. All we need to do is know our boundaries and never venture beyond that point. Living for just yourself is a lonely existence. Serving people goes that one step further and asks ‘what can I do for you?’ You start to live beyond yourself and purposefully contribute positively to others. When few ants in a colony are infected by a fungal disease, they spread the disease throughout the colony, by licking it off one another, with each ant receiving as much of the disease that their individual immune system can fight off effectively. Olaniyan, you are absolutely right with the extra 3 points. Ants inspire me enormously; they are so small yet can do so much. We too must believe in ourselves and in the power of the teams that we are part of. Reblogged this on mcjcyber's blog. Good stuff! I love the insight, Diana! Thank you. It was quite intriguing researching these intelligent little creatures! I loved learning about these wonderful, little creatures! It So Thrilling,pls I Need More. I’m going to post this on my page. I’m sure you don’t mind. Of course I would acknowledge you. This is beautiful. My personal observation about the ant is that they are usually patient. They are highly orderly, and can wait for one another each time they move in group. Ants do not believe in struggle unlike human beings. They are always ready to revive any of them that get injured. thank you so much for this lesson.. am really motivated. great lesson. Thanks so much for your article. Proverbs 6:6 sent me here. Thanks for this excerpt. It’s soul enriching. Truly I’m motivated by this. What can i say more but to saythank you am inspire . I love it. Thanks for this great post. Keep posting such great stuff.